Court okays continuation of Dasuki’s trial – Royal Times of Nigeria. The Federal High Court, Abuja, on Thursday ordered that if by April 9, former National Security Adviser (NSA), Sambo Dasuki’s counsel fails to appear, the Federal Government can proceed with his trial. Justice Ahmed Mohammed gave the prosecuting counsel, Oladipo Okpeseyi, (SAN) the go ahead after he objected to a letter written to the court by Joseph Daudu (SAN), seeking an adjournment. When the matter was called, the court registrar read out a letter in which Daudu informed the court that he was attending the Body of Benchers meeting at the Supreme Court. He urged the court to adjourn the matter saying he would appear on the next adjourned date. Okpeseyi expressed dissatisfaction with the letter saying it was pregnant with unanswered questions. “As innocent as the letter looks, it is pregnant because this letter is asking the court to decide whether the rights and privileges of a citizen with the authority of the court are subservient to that of the body of benchers. “Whichever way the court resolves the issue, we are bound by the decision of the court. The senior lawyer said that should the defence counsel fail to appear in court at the next sitting, the court will be at liberty to proceed with the case. Justice Mohammed gave the prosecution the go ahead to proceed with the trial on the next adjourned date should the defence counsel fails to appear. He adjourned the matter until April 9 and 10. 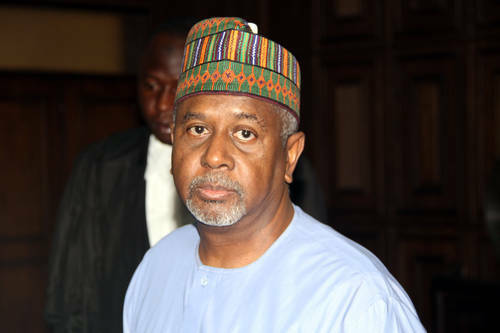 Dasuki, who was arraigned in 2015, is standing trial on allegations bordering on illegal possession of firearms and money laundering.